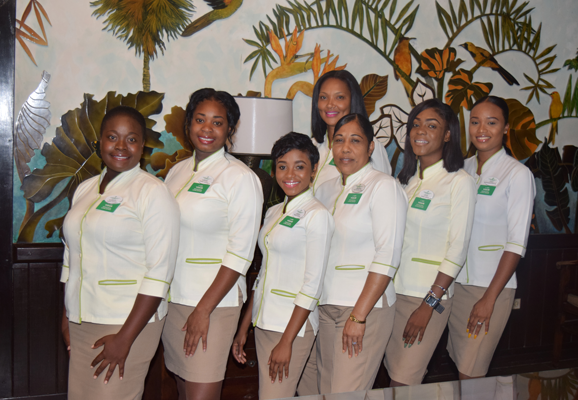 A Personal Sunset Concierge is assigned to each guest immediately upon check-in and then acts as an unofficial resort guide and assistant throughout your stay. The concierge ensures a smooth check-in and check-out process; assists with any room amenities and needs; makes dining reservations on and/or off property; books tours, excursions, water activities, and spa appointments; helps arrange private celebrations for birthdays and anniversaries; and much more. In addition, each concierge will see “their” guests personally or leave a voice mail in their rooms to let them know what time they can experience sunset each evening of their stay. Our goal is to provide a highly personalized, pampering and stress-free vacation during your stay. Sunset Concierges also live up to their title by reminding guests about the timing of each day’s sunset so that nobody misses an opportunity to see the resort’s breathtaking evening ritual. about Jamaican customs and culture.